Sometimes Graceful Changes Estate Sales has to think outside of the box when hosting a sale. Some situations make it impossible to host a sale at a home. Perhaps you are moving and need to downsize before the home can go on the market, or a Home Owners Association will not allow a sale in the neighborhood. Regardless of the situation there are usually alternatives for sales and we will come up with a plan that will meet your needs. In situations where we have to move your belongings to a off-site location, we like to get creative, sometimes combining your things with another homes sale keeping track of each family’s Sales. A few times a year we also host a big sale in a local church which draws huge crowds. This is one option. Sometimes it works for your situation and sometimes it doesn’t. 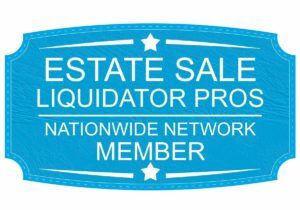 Regardless, Graceful Changes Estate Sales will work with you to determine the best option for you.